I have a yellow male pointing lab pup available. Born on Jan 25, 2019. Pup will come with AKC registration papers,copies of parents as well and a 24 months health clearance guarantee on CNM and EIC dysplasia . Pup's estimated size range will be around 50 lbs to 65 lbs when fully matured. Pup spends most of it's time being well socialized with the kids and my other dogs. 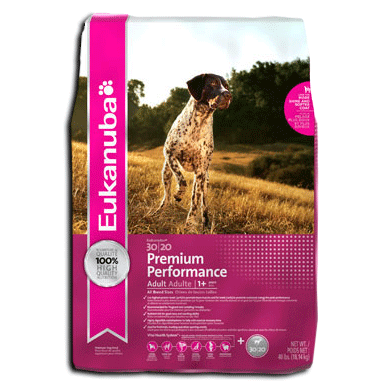 We've been feeding it on a well balance diet (no fillers or grain base) and go on daily walks. This pup will be one heck of a dog for someone in the hunt test, family oriented or hunting companion scene. Pup already showing natural sight pointing so with good teaching this pup should be phenomenal. Pup's been de-wormed, decawed and gone through it's first immunization shots. Sire is 65lbs when lean and conditioned for hunting and testing season. His lineage is from the well-known hall of famer of the pointing lab world Risky Raider. 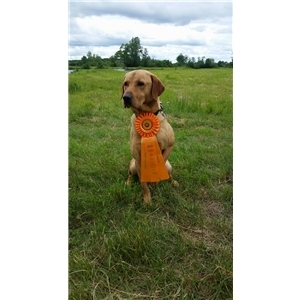 He received his Master Hunter Title with AKC (American Kennel Club) at age 2, his AKC Senior Hunter Title at 16 months old and his Master Retriever Hunter Title for NAHRA (North America Hunting Retriever Association). He’s been hunting wild roosters and retrieving ducks and geese with the family ever since he was 9 months of age. He’s a hunting machine in the prairie grass fields of SD, ND, IA and MN. He’ll pound through cattails and swim in those thick heavily vegetated swamps just to retrieve a down bird. He’ll pound and break ice on the Mississippi River to retrieve down geese during the late season of our rigid Minnesota weather. He'll be calm and quiet laying in his layout blind waiting for giant ganders/snow geese to drop on into our fields of crops. When we’re not hunting or testing he’s home calm and collective. So you would say he’s one of a kind. He's has that on and off switch when at home and at the field. He is clear from parentage from EIC and CNM. His OFA hips results are good and elbows are normal. Dam is 50 lbs muscular built for high power running and swimming through sloughs and the high plains of SD, ND and MN. She's a full British Labrador Retriever stack with great pedigree dogs. She accomplished both her AKC Junior and Senior Hunter Title. She has been hunting wild roosters and ducks with the family at 8 months old. This gal also has the off and on switch when in the field and at home. She is calm and gentle around the kids and family when we are home. She is clear from EIC, CNM and any retinal atrophy. Her OFA results are Good.